Printable crafty snowman template. Snowman craft stencils for painting, wood crafts, fabric crafting. 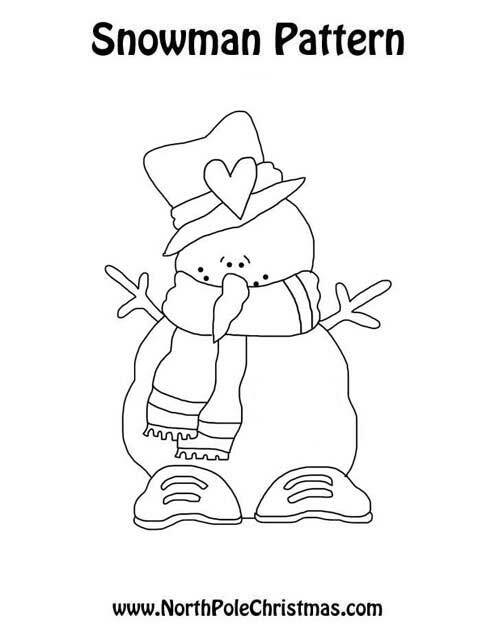 Free printable snowman with a top hat with heart, big shoes and a scarf.